With a large capacity, and robust 7" wheels, the Essential™ Mobile Chest is a jobsite go-to. 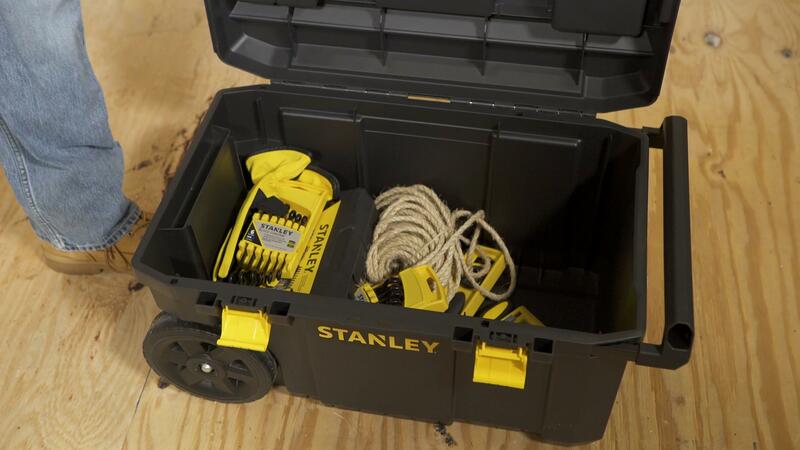 STANLEY® Essential™ tool boxes and rolling tool storage is perfect for storing your tools and small parts. Stay organized and bring all the tools and supplies you need in one easy trip.